Yesterday I had an appointment with a naturopath for the first time and an appointment with my regular psychologist who gave me some interesting advice (I'll share in another post). Anyway, aside from my shocking file, she had to do a medical history, as well as current eating/sleeping habits. I am pretty bad and she wanted to know about parents, siblings, aunts, uncles and grandparents, so any 'family' diseases. I have had issues with sleep since I was 14. I have PCOS (Poly Cystic Ovary Syndrom). I have Borderline Personality Disorder. My mum and gran died of cancer, my grandfather of a heart attack, my other grandfather and an uncle have had strokes. There were other things too, but you get the idea. The only thing she got to put down a no for on her form was diabetes. As far as I know no one in the family has it and she seemed very relieved. Now, I have been pretty stressed lately. When I get stressed, I don't eat and I don't get hungry. This combined with no sleep means my body should be pretty ragged. She checked my blood pressure which was on the low side, pretty unusually for someone with the stress levels I have. Next she checked my eyes. I am physically very strong, but have a lot of stress rings, which is no surprise given everything going on in my life over the past 7 months. She got so overwhelmed she asked if I could sit in the waiting room for 10 minutes while she thought about it all. In the end, a meal plan was worked out, with protein shakes since sometimes I literally cannot eat. I have pretty much been living off protein shakes prior to seeing her, as it seems to be the only thing I could stomach. 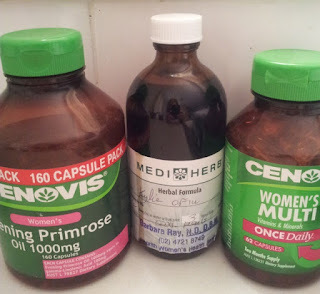 She gave me some herbal liquid which tastes foul but should help relax me and fix a couple of issues and balance me out. 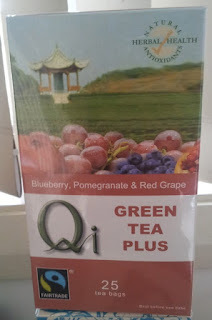 Green tea through out the day was recommended, with chamomile tea at night, plus I used to take a multi vitamin and evening primrose oil, since I still have them I should be taking them too. I have never really been a tea drinker (raised Mormon! ), but have had herbal teas at different times. 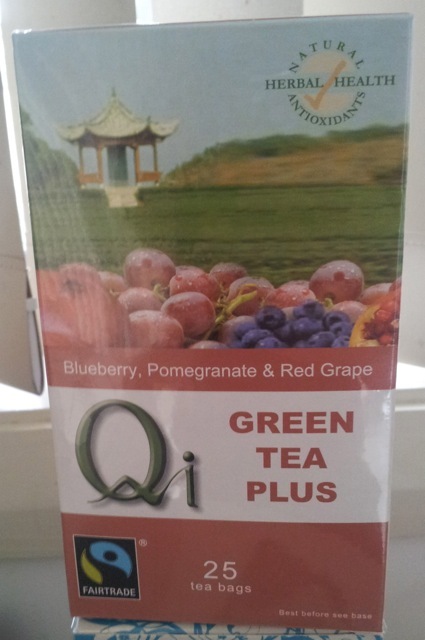 I didn't think I could do plain green tea, so picked the one above, which is Fair Trade. Today was day 1 of the new plan and I did pretty well. 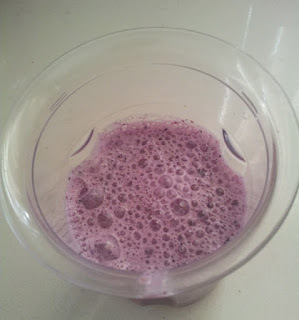 I had a smoothie for breakfast, although I was unable to finish it, it was a start. I ate a mandarin and 2 rice cakes with avocado as my snacks during the day. 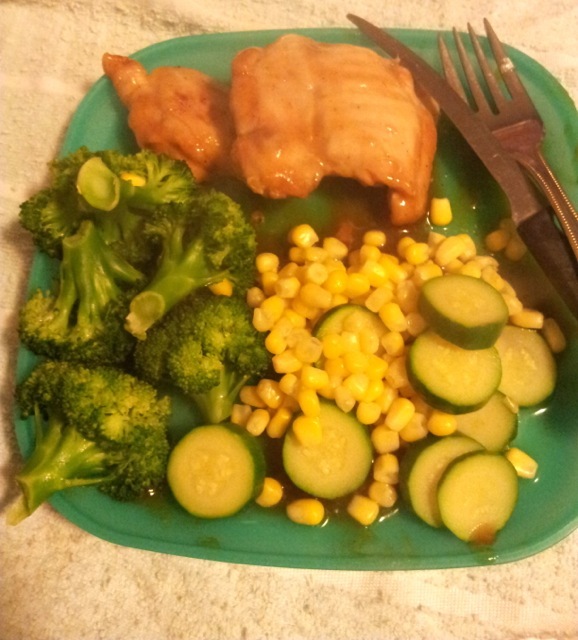 Lunch was a protein shake and dinner was chicken with broccoli, zucchini and corn. I feel so full, but am pretty happy I was able to eat that much. It is a pretty big deal for me. I have a few exercise goals and am trying to slow my mind down a bit and just be more healthy. I think it will be interesting to see how the herbs and things go. Have you ever done an overhaul like this? Have you ever been to a naturopath?